How many times have you gotten a losing lottery ticket in a Christmas stocking or birthday card? That wasn’t the case for a Stone Ridge woman this week. 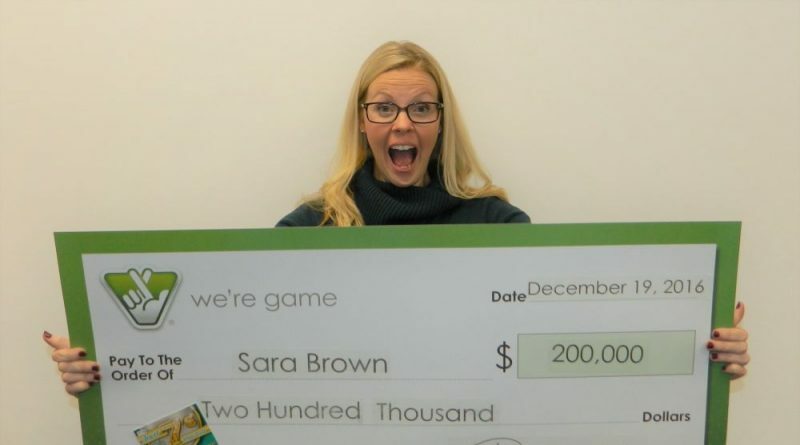 According to the Virginia Lottery, Sara Brown was visiting her in-laws near Charlottesville when she scratched off the ticket she found tucked in her stocking—something of a family tradition. This year, the gift was a $200,000 winner. The ticket was part of the Jewel 7’s line of tickets. She was the first person to claim the top prize in game #1676, which means nine $200,000 tickets remain unclaimed, according to lottery representatives.